Spending the holidays alone and away from family can be difficult for anyone. Consider these five tips to help you and your loved ones manage separation across the miles while still making the holidays meaningful. For many older adults, holiday travel to be with family is not viable due to financial, health or logistical reasons. Others may simply not want to make such a trip and be a burden to their families. And it’s often the case that their family is similarly unavailable to travel. Simply being emotionally present, listening and expressing support for remote family members who are on their own can go a long way. Being in different places during the holidays doesn’t mean that you can’t still communicate. Skype, Facetime, Google Hangouts and texting will be an option for some but certainly not all family members. You can also send cards and letters that can be read, re-read and even posted for others to see. Recruit children, grandchildren, siblings and other relatives to reach out, too. The experience of receiving a gift can be just as important as the gift itself. If you’re going to buy a distant family member a gift, why not give a gift that keeps on giving, beyond the day they receive it? They will be reminded of your connection well beyond the holidays. Magazine or coffee service subscriptions will come many times per year while a bulb or plant can be enjoyed through the year as it grows and blooms. Gifts like cookies or baked goods can be enjoyed not only by the recipient, but also shared with others around them. Xactika is a proprietary card game for two to ten players created by Set Enterprises in 2002. The trick-taking game is played with a dedicated deck of 81 cards, in which the object is to obtain the highest number of points after eight rounds of play. Points are awarded by taking the exact number of tricks that one bids before each round. What is the Face card values in black jack? 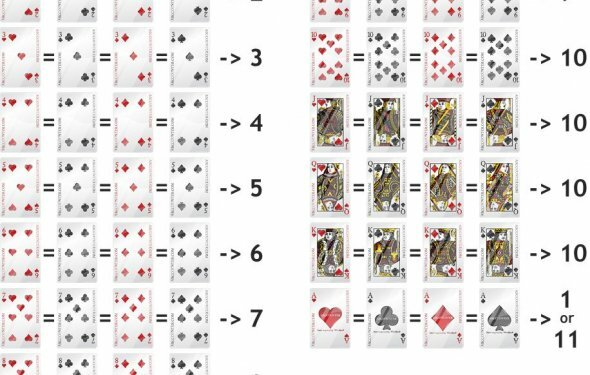 Standard face cards which are your Jack, King and Queen, your Ace and then your numeric cards 2 through 10, now the 2...more?